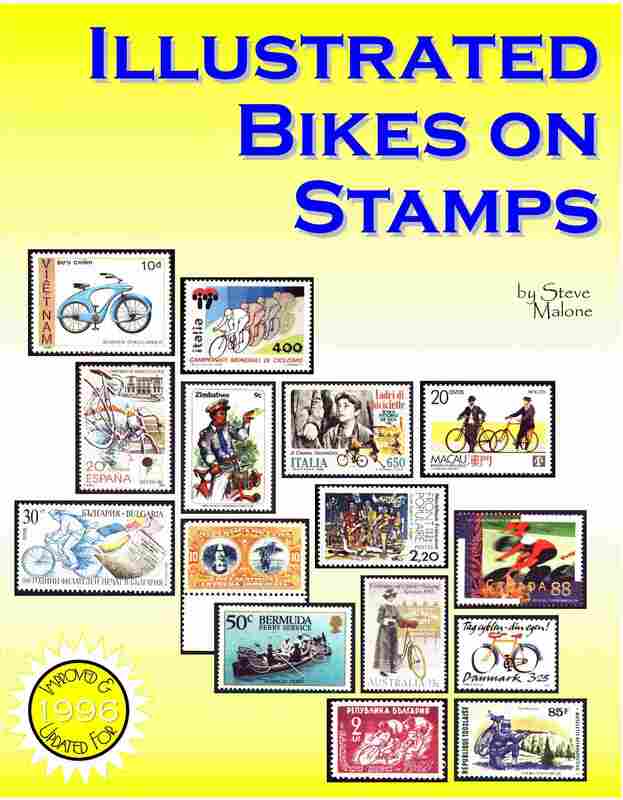 In 1995 Steve Malone published his catalog "Illustrated Bikes on Stamps" with over 2000 entries and over 1000 images (see BS 17A_16). Their different symbols increased the usefulness to non-English speaking people. 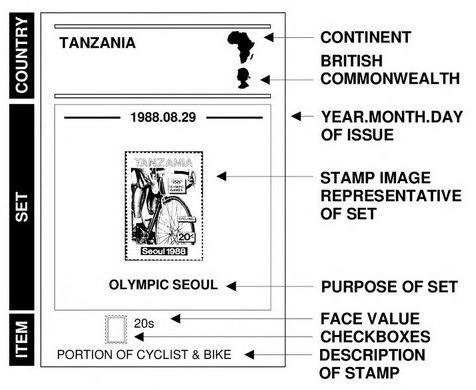 Stamps with tiny bicycles are flagged, those which do not show a bicycle (only a cyclist, the word “bicycle” or a velodrome) as well. Also special symbols for perforate und imperforate stamps and sheets, booklets, und panes are used. At that time the catalog cost US$ 25 - today it is available for free either as a public domain eBook/ePub or as download. Although in the meantime a few more bicycle stamps were issued, this catalog still is a standard work. Steve Malone is now retired and has enough time to cycle across the United States. You are invited to accompany him.